She told a press conference the "choices we now face are stark and the timetable is clear" as she urged parliamentarians to "press on with pace in our efforts to reach a consensus". Maltese Prime Minister Joseph Muscat welcomed the compromise date, saying: "A Brexit extension until October 31 is sensible since it gives time to the UK to finally choose its way. It is understood the June review will assess UK co-operation during and after the European elections in May, with the possibility of the exit date being brought forward to Mrs May's preferred date of June 30. Mr Tusk tweeted: "EU27 has agreed an extension of Article 50. I will now meet PM Theresa May for the UK government's agreement." 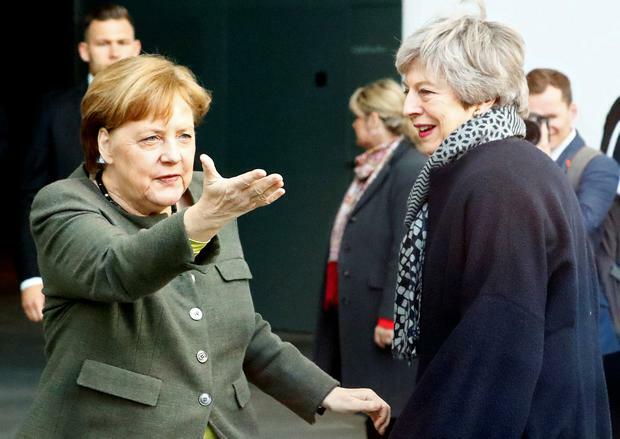 "We have to ask what is in the interest of a good co-operation and what is in our interest," German Chancellor Angela Merkel said on her way into the summit. "For us, it's important to have an orderly exit - and preserve the bloc's unity." Taoiseach Leo Varadkar again supported Mrs May and he signalled there was "merit" in a longer Brexit extension, provided it was not too open-ended. "I want to end the uncertainty which is creating huge problems for citizens, for business, for farmers," he said. "I think Europe would be better with the UK staying as a member and it would be better for the UK too," Mr Varadkar said. But he stressed these were matters for the UK. Mr Varadkar also brushed aside suggestions of any significance attaching to the new Brexit deadline of October 31 - the feast of Hallowe’en. 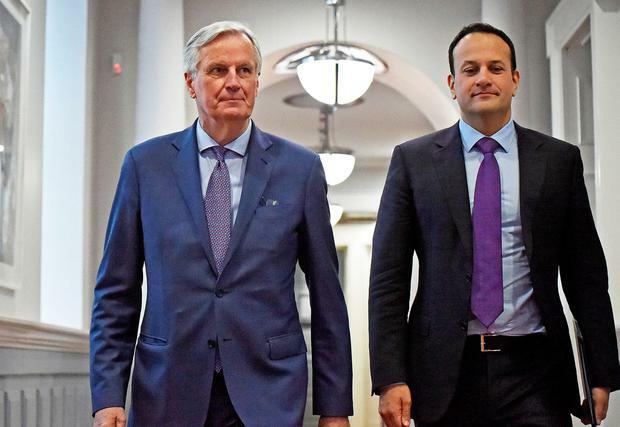 The Taoiseach’s comments came after a tough six-hour special Brexit summit meeting Brussels where EU leaders have fixed a new Hallowe’en deadline for Brexit - insisting it was their final offer. Mr Varadkar strongly hinted that he favoured a longer extension - but he also acknowledged that three years after the Brexit referendum of June 2016 it was time for the UK authorities to make decisions. “The EU is not a prison - nobody has to stay. But nobody is going to kick anybody out either,” he said. Many states were prepared to let things run until December 31 this year of March 31, 2020. But eventually they agreed a compromise - faced with President Macron’s insistence that nothing had happened in London until immediate deadlines loomed in the past three months. The new arrangement includes a firm demand that the UK hold European Parliament elections on May 23 next - something Prime Minister Theresa May was determined to avoid. It also includes a clause that UK efforts to organise an orderly Brexit will be reviewed in June. US president Donald Trump invoked America's trading relationship with the EU in his assessment. He tweeted: "Too bad that the European Union is being so tough on the United Kingdom and Brexit. The E.U. is likewise a brutal trading partner with the United States, which will change. He said: "Unless the main party leaders do a backroom deal to enable a customs union Brexit and deny the British people a say over this mess - a big risk - this extension paves the way for Euro elections +a #PeoplesVote which we must grab with two hands for the sake of future generations. "With British MEPs continuing to sit in the Euro Parliament we will be rule makers not rule takers - if Brexit had happened and the UK was in transition, it would have been the opposite. A #PeoplesVote with Remain on the ballot will give voters a chance to make this permanent." "Tonight we breathe a sigh of relief: our EU friends offer us escape from #BrexitShambles," he tweeted. "Enjoy the moment: a key step in a long journey. Tomorrow we push #PeoplesVote even harder. "Let's get this nightmare behind us & pull UK back together". Labour MP Mary Creagh, a supporter of the People's Vote campaign for a second referendum, said she hoped for "sincere cooperation" on Brexit from the Government "after this fiasco". She said: "People across the UK will be relieved at this sensible extension.